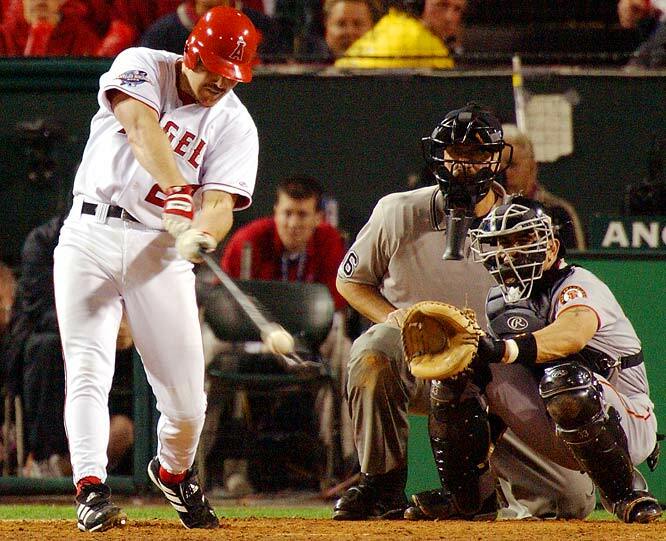 October 26, 2002 — a date that will live in San Francisco Giants’ fans infamy. Two World Series championships really hasn’t diminished the sting of that day. And as the Giants prepare to play Game 6 of the World Series on Tuesday against the Kansas City Royals, memories of Game 6 of the 2002 Series echo back to Giants fans. The echo began after the Giants won Game 5 on Sunday. This fact dawned on me. Do you know what Series I’m talking about? Yes, it is the 2014 World Series, but also the 2002 World Series. Game 6s bring back plenty of bad memories for Giants fans. In 1987, the Giants took a 3-2 series lead back to St. Louis in the NLCS and never scored another run the rest of the series, losing 1-0 in Game 6 when Candy Maldonado played a Tony Pena single into a triple, then couldn’t throw out the slow-running catcher on a sac fly to shallow right. The next Game 6 the Giants played was in 2002. Now, the Giants did exorcise a Game 6 demon in the 2010 NLCS. The Giants took a 3-2 series lead in Philadelphia, and the Giants sealed the series with a Game 6 on the road. That game could be the road map to manager Bruce Bochy’s approach in this Game 6. In the game in 2010, Bochy went to the bullpen early when Jonathan Sanchez, yanking him with no outs in the third inning. From there, Bochy went to Jeremy Affeldt, Madison Bumgarner (two inning on two days rest), Javier Lopez, Tim Lincecum (one-third of an inning on ONE day rest) and Brian Wilson to shut out the Phillies. I don’t see Bochy going to Bumgarner in this Game 6. He made that move with Lincecum in Game 6 in 2002 because he had Matt Cain set to go in Game 7. I don’t him with the same confidence in Tim Hudson (Wednesday’s Game 7 starter) as he had in Cain in 2010. So Bumgarner will lay in waiting for Wednesday. But even with that, Game 6 of the 2002 Series lingers. In Game 5 of the 2010 World Series, after the Giants had taken a 3-0 lead over the Rangers, FOX put up a graphic in the bottom of the seventh that the last time a team had blown a three-run lead or bigger in the seventh inning or later in the World Series was Game 6 of the 2002 Series. The Giants held on in 2010 to win the World Series. They also won a Game 6 at home in the 2012 NLCS. But for me, that Game 6 in 2002 still lingers. In 2002, my wife and I had joined a church that spring. That October, the pastor and his wife invited us to dinner at their house. That dinner date was set weeks before knowing that the Giants would be playing in Game 6 of the World Series. But the pastor, a baseball fan himself, said that they would have the game on at their house, so come on over. I did, reluctantly. Things went well for a while. Looked really good at the seventh inning stretch. But then things went bad. Really, really bad. I sat stoically, saying nothing, as I watched the collapse. I kept it together until I got home later that night. Then I went straight to my VCR, ejected the tape I used to record the game and smashed it on my backyard deck. The 2014 Giants don’t have a closer whose arm is about to fall off. Remember, that game in 2002 was the last of Robb Nen’s big-league career. This year, the Giants are seeking their first World Series title in 48 years, as they were in 2002. It’s been only two years. A Game 6 loss would be far easier to swallow. The 2014 Giants have Bruce Bochy as their manager. Bochy is 8-0 in postseason series as manager of the Giants and has postseason record with the Giants of 32-13. The 2002 Giants had Dusty Baker as manager. Baker was 2-3 in postseason series with the Giants and had a postseason record of 11-12. Game 7 was the last game Baker would manage with the Giants. And remember, Baker went on to manage the Cubs in 2003 when he was part of the “Bartman Game” in Game 6 of the NLCS. This group of Giants are resilient. Many were part of the 2012 team that went 6-0 in elimination games. They’ve bounced back from nearly hitting rock bottom this season in June and July, and they continued to plug away when injuries nearly derailed them late in the season. And most importantly … I won’t be watching this Game 6 at the house of my pastor. 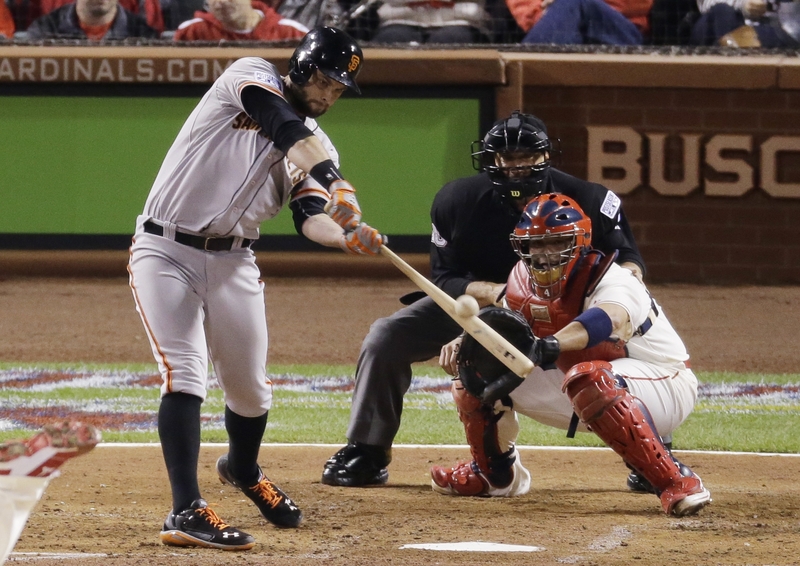 The Giants’ inexplicable postseason run continued Saturday with a 3-0 win over the St. Louis Cardinals in Game 1 of the National League Championship Series. The Giants again did not tear the ball of the cover. They did manage eight hits, but here is how they scored their three runs. A ducksnort bloop single off the Magic Wandoo of Travis Ishikawa. And the Giants’ two-run “rally” in the second inning was started on a double by Pablo Sandoval that originally landed in the glove of Cardinals right fielder Randal Grichuk, but popped out after Grichuk hit the wall and then the ground. 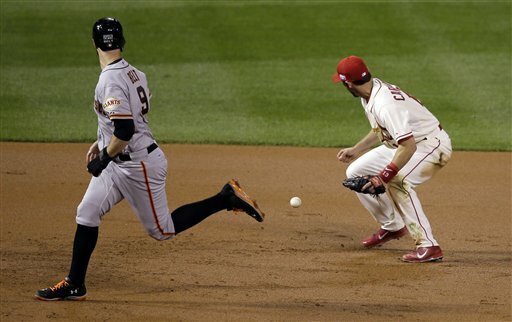 The Giants’ third-inning run was aided when second baseman Kolten Wong failed to cleanly field a potential double-play ball off the bat of Hunter Pence. The Cardinals only got one out on the play, so no error, but it made Brandon Belt’s subsequent sacrifice fly possible. 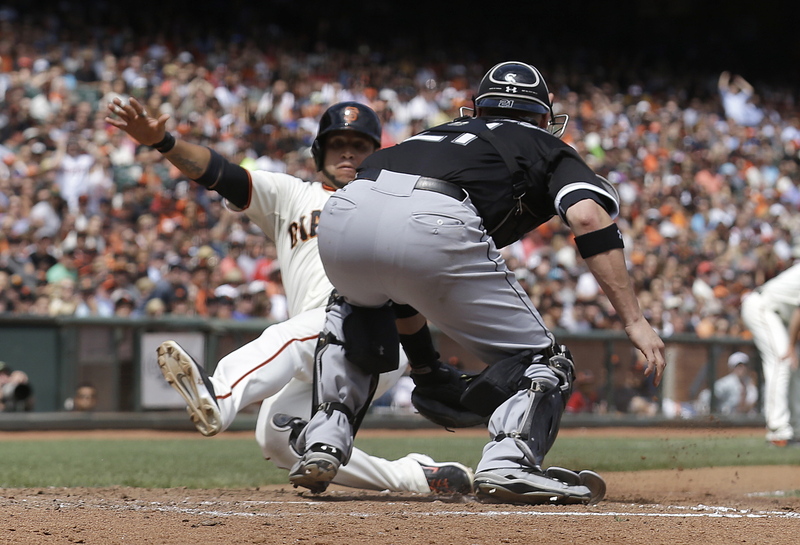 The Giants even caught a break when Madison Bumgarner appeared to balk in a run in the seventh inning. But the umpires didn’t call a balk, probably because only the Giants are allowed to score a run on a balk. The Giants went 15-61 in games in which they scored three runs or fewer. They were 73-13 when scoring four runs or more, second best in the NL this season (The Nationals had the best mark). From June 3 to Aug. 25, the Giants went 1-35 in games in which they scored three runs or fewer. But in the postseason, the Giants are now 4-1 in games in which they score three runs or fewer. They have scored 12 runs total in their last five postseason games. Yet they find themselves with a 1-0 lead in the NLCS. After going 5 for 40 (.125) with runners in scoring position in the series with the Nationals, the Giants added a 2-for-11 night with RISP on Saturday. And one of those hits didn’t score a run. But here’s one stat to note. In the Division Series, the Giants struck out the fewest times of the four NL teams in the LDS round. And it’s not even close. The Nationals struck out 39 times in 172 plate appearances, the Cardinals struck out 37 times in 138 PAs, the Dodgers stuck out 36 times in 155 PAs and the Giants struck out 24 in 175 PAs. The other stat is the more obvious one: the pitching. Giants pitching has an 1.14 ERA in the postseason. The starting pitching has been even better: 0.64 ERA. At some point, you have to expect the Giants bats to come alive. Perhaps that will come in Game 2 on Sunday. 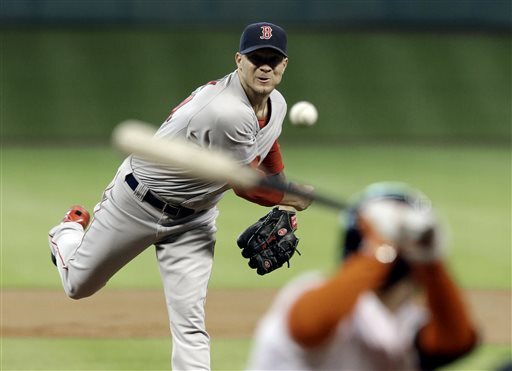 The Associated Press reported Saturday that the San Francisco Giants are finalizing a deal to bring veteran pitcher Jake Peavy to the Giants. Details are still being worked out, according to the report. But the Red Sox will reportedly get minor league pitchers Heath Hembree and Edwin Escobar. The details being worked out likely involve money and other provisions. Peavy is making $14.5 million this season with the Red Sox, meaning he is still owed about $6 million. He has a player option of $15 million for 2015, but he is unlikely to reach the milestones to make that option vest. He would basically have to double his current innings output of 124 innings this season to allow that option to kick in. Normally when Giants GM Brian Sabaen makes these midseason deals, I reserved judgment, preferring to defer to his better judgment. The Giants have made several midseason deals over the past few years. Not all of the deals have worked out as the Giants hoped, but at least the Giants didn’t have to give up much to get them. I wrote about this earlier, listing the prospects the Giants have given up in midseason deals the past five years. Really, only Zack Wheeler has amounted to anything, and the jury is still out on him. But I’m going to say now that I don’t like this deal. To me, it represents of harbinger of bad news. CAIN SITUATION MUST BE BAD: When Matt Cain went on the disabled list after the All-Star break, manager Bruce Bochy said Cain could be down “one week, two weeks …. eight weeks. 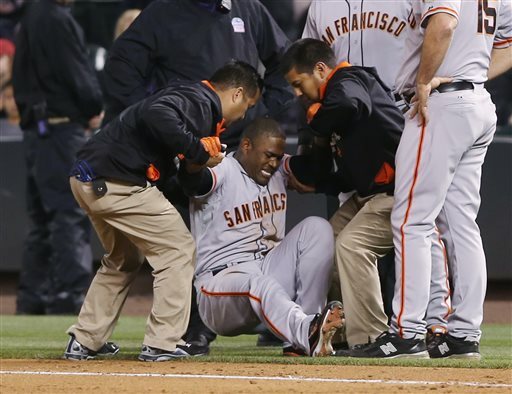 We just don’t know.” The Giants have been cagy with health reports of their players. So when they say they don’t know, we have to conclude they at least suspect. And the consumation of this deal must indicate they suspect that Cain may not return this season. THE PRICE WAS TOO HIGH: In giving up Escobar and Hembree, the Giants parted with their No. 2 and No. 11 prospects, according to MLB.com’s preseason list of prospects. Both pitchers have appeared to be on the fast track to the majors in recent spring trainings. Escobar, 22, was thought to be in position to get a call-up this season, but he’s had a rough season in Triple-A. He’s 3-8 with 5.11 ERA and 96 strikeouts in 111 innings at Fresno. Hembree, 25, was thought to be the Giants “closer of the future” a couple of springs ago. But this season represents his third at the Triple-A level. He is 1-3 with 3.89 ERA, 18 saves and 46 strikeouts in 39.1 innings this season with Fresno. He was recently named a PCL All-Star. He did have a brief stint with the Giants in 2013, throwing 7.2 scoreless innings with 12 strikeouts. So I might have been OK giving up one of these two pitchers, along with some lower-level prospects, for Peavy. But giving up both? His ERA+ of 83 is the lowest of his big-league career. His FIP (Fielding Independent Pitching) of 4.81 is his highest since his second big-league season in 2003 when he was 22. His WHIP of 1.427 is the highest of his career. His Hit Allowed Rate of 9.5 is the second highest of his career. His HR Allowed Rate of 1.5 is the highest of his career. His Walk Rate of 3.3 is his highest since 2002. His Strikeout Rate of 7.3 is his lowest since 2002. The Giants are clearly hoping that a return to the National League, where he hasn’t pitched since 2009, will do Peavy good. His four starts against NL teams this season have all been quality starts. They are also hoping that pitching in AT&T Park will provide better results than pitching in Fenway. Well, Peavy is 14-2 with 2.21 ERA against the Dodgers in his career also looked good to the Giants. Although it should be pointed out that most of those starts occurred in 2009 or earlier when Peavy was a different pitcher and the Dodgers were a different team. Peavy did limit the Dodgers to one run on three hits in a complete game win in Dodger Stadium last August. And for good news, Peavy make be on the mound when the Giants face the Dodgers on Sunday night, instead of Yusmeiro Petit. All of the talk around San Francisco these days revolves around one question. After two Cy Young seasons and two world championship seasons, Giants fans want to know if The Freak is back to his form from 2008-11 after a very bumpy stretch since 2012. Well, one way to answer that question is to say Tim Lincecum has, in fact, never been better. Now compare that to his best four-start stretches over his career. Clearly, he’s never had a four-game stretch that was as good as his current run in terms of run prevention. In fact, it’s not even close. It’s also important to note that his strikeout rate on the current stretch is not as high as in his previous impressive stretches. But also in only two of the previous stretches did Lincecum give up fewer walks than his current streak, and in none of his previous stretches did he allow fewer hits than his current one. Again, it’s not even close. So is Tim Lincecum back to being the pitcher he was in 2008-11. No. He’s a different pitcher. But he’s getting the results. Now some folks out there are still a bit skeptical, and they take Lincecum’s recent run with a grain of salt. They’ll point out that with all of his recent success, his ERA still sits at 3.66. Lincecum hasn’t had an in-season ERA that low (after May 1) since the end of the 2011 season. But consider this. If you remove Lincecum’s two worst starts of the season (April 9 vs. Arizona, 4 IP, 7 ER; June 3 vs. Cincinnati, 4.1 IP, 8 ER), and Lincecum’s ERA drops down to 2.86. That represents 17 of his 19 starts. Also consider he has posted quality starts in six of his past seven starts (just missing one — 6 IP, 4 ER — vs. Arizona on June 20), and in nine of his past 12 starts. And one of those non-quality starts was when he was lifted after 96 pitches despite throwing five scoreless innings vs. the Cubs. Yes, Lincecum still has a big home-road disparity in his numbers. But 9 of his last 12 starts at home. So it’s hard to tell if his recent success is due to pitching so often at home, or if his high road numbers are due to the fact that he made four road starts prior to May 8, and only three since, when he has started to figure out how to pitch without being overpowering. 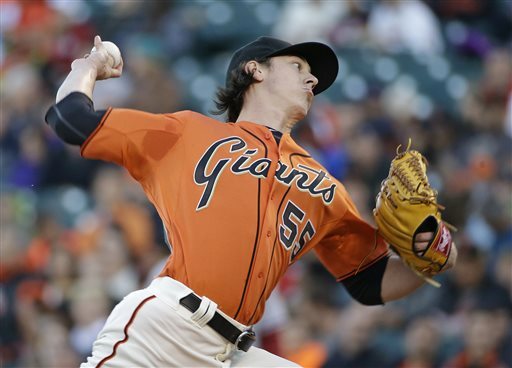 So while the jury is still out for some, we are impressed and encouraged by Lincecum’s recent success. Will he be the Cy Young-winning super stud of 2008-09? Maybe not. But can he be a top-of-the-rotation quality starter? Giants fans are always on the lookout for the next hot prospect in their farm system. Well, this week at least, Basseball America says that’s Andrew Susac. Susac was No. 8 on Baseball America’s Hot Sheet this week. As BA puts it, this feature simply recognizes the hottest prospects in the minors during the past week. Susac worked his way onto the list with a week in which he hit 6 for 19 (.316) with four home runs, 7 RBI, two walks and six strikeouts. Susac is now hitting .314 for the season with a .404 OBP and 1.015 OPS. In 22 games in Fresno, he’s now hit half as many home runs (six) than he did last season at Double-A Richmond (12). Now, Fresno is a hitter-friendly environment, and Richmond is more pitcher-friendly. But the offensive spike for Susac is encouraging, considering that it followed a stretch when he missed some time with concussion-like symptoms after taking a foul ball to the mask. Still, John Manuel of Baseball America has been impressed. It’s worth noting that CSN Bay Area’s Andrew Baggarly supplied those rankings to Baseball America. 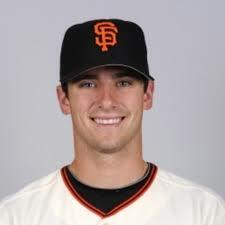 Matt Yallof of MLB Network noted that at 24 the clock was ticking on Susac as a prospect. But not really. When the Giants drafted Susac in the second round of the 2011, he was recovering from a knee injury that ended his season at Oregon State. Susac did not play in 2011. He played 2012 in Class A San Jose (hitting .244 with 9 HRs in 102 games) and 2013 in Double-A Richmond (.256 with 12 HRs in 84 games). So he’s right where he needs to be in his first season in Triple-A. As far as getting a call-up to the bigs? Well, like Adam Duvall, the Giants would rather see Susac continue to get regular at-bats and playing time in Fresno than ride the bench in San Francisco. Improving his defense is something the Giants would like to see from Susac. But he does become a viable option if the Giants need his bat later this season. 3B ADAM DUVALL: Duvall continues to tear it up. He’s hitting .359 with .419 OBP and an OPS of 1.419 over the past 10 games, with 6 HRs and 14 RBI. He’s been playing a little bit at 1B while the Grizzlies other 1B has been on the mend. 2B JOE PANIK: Panik has cooled a little, hitting .282 over the past 10 games. He’s still hitting .314 for the season with a .381 OBP. He has 16 walks against 18 strikeouts. 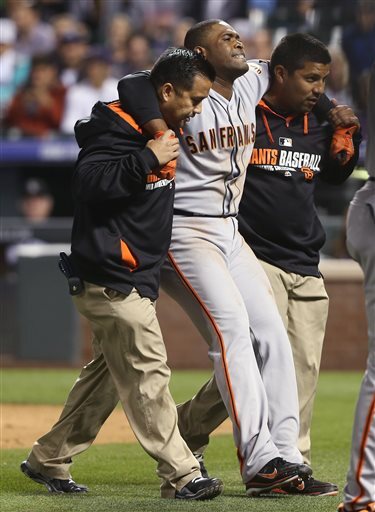 With Marco Scutaro out, Panik remains an option should something happen to Brandon Hicks. OF GARY BROWN: Uh oh. After a good start to the season, Brown has begun to slip. He’s hitting .179 (7 for 39) over the past 10 games. He’s hitting .267 for the season with 31 Ks against 15 BBs. P EDWIN ESCOBAR: Escobar was thought to be at the front of the line to get called up if the Giants needed a starter. But he’s struggled this season (1-4, 5.18 ERA). Opponents are hitting .308 against this season. The PCL is a hitter friendly league but you’d like to see better numbers than that from Escobar. P CHRIS HESTON: Heston may have been in Escobar’s position last year, but struggled with a 5.80 ERA. He’s 3-2 with 3.40 ERA this season with 31 strikeouts against 10 walks. He’s allowed 15 earned runs, but many of those runs have scored on the five home runs he’s allowed in seven starts.